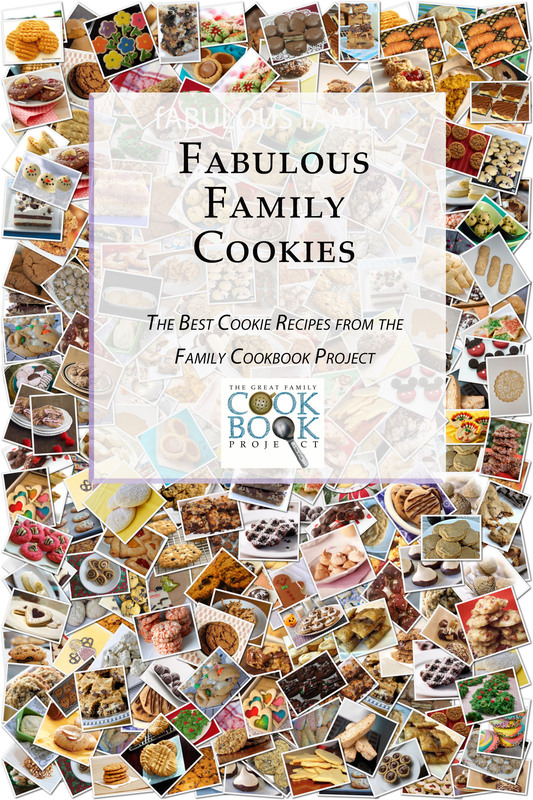 For nearly 10 years, the Family Cookbook Project has been helping families all over the United States and Canada preserve their cherished family recipes. We knew people would love it when we started, but we never expected it to be this successful! As of October, 2013, our website has helped families, fundraisers, civic groups, churches, schools, Boy Scout troops, and individuals create more than 41,600 online cookbook, printed hundreds of thousands of copies to be shared and amassed more than 807,000 great family recipes - many of which can be shared publicly. So this got us thinking. Wouldn't it be great if we created cookbooks focused on one type of recipes that would collect the best our site has to offer? What you have here is the first edition of that series - our best cookie recipes. Place oven rack in the middle of oven, and preheat to 375 degrees. In a large skillet over low heat, cook bacon until crisp, but not burned, turning often. Drain on paper towels, roughly chop bacon to approximately 1/4 inch, and set aside. In a medium saucepan over low heat, heat 10 tablespoons of butter over low heat, swirling and stirring often, until butter is a warm golden brown, about 8-10 minutes. Remove from heat, add remaining butter, and allow to melt. In a large mixing bowl or in bowl of standing mixer, combine granulated sugar, brown sugar, salt, vanilla, egg, and egg yolk. Slowly incorporated melted butter, and stir until all sugar crystals have melted. Batter should be smooth and shiny. Add flour and baking soda, and stir until no pockets of flour remain. Add chocolate chips, grated chocolate, and crumbled bacon. Stir until combined, but don’t overwork the batter. Working in batches, line a large baking sheet with parchment paper, and place heaping teaspoon-sized dollops of batter onto baking sheet. Bake until edges are golden but middle is not quite set, about 11-14 minutes. Transfer cookies to cooling rack, and allow to cool completely.